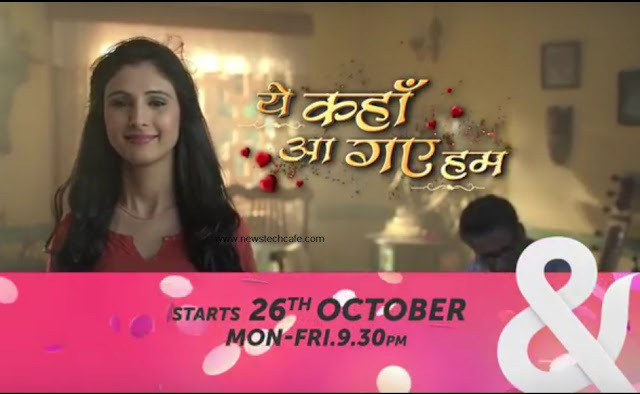 Karan Kundra starrer ‘Yeh Kahan Aagaye Hum’ is an Upcoming tv Serial on '&tv' channel. '&tv' Channel is already running some successful tv show after the launching of the Channel .Currently Running tv Show on &tv include "Razia Sultan","Bhabhi Ji Ghar Par hai ","Ganga","Bhagyalakshmi" etc . Now '&tv' is planning to launch this new tv serial ‘Yeh Kahan Aagaye Hum’ in end of the Year 2015. This new Tv show is Produced by Famous Production House Balaji Telefilms. This production House is famous for his well known current shows like Meri Aashiqui Tum Se Hi , Ye Hai Mohabbatein , Kumkum Bhagya , Itna Karo Na Mujhe Pyaar and Upcoming new show Kuch Toh Hai Tere Mere Darmiyaan , Pyaar Ko Ho Jaane Do etc. The series is based on a male-centric family. “I’m glad to be back to doing daily shows and that too with Balaji (Balaji Telefilms). It’s been a long wait but totally worth it. I’m sure the audience will like the character and the show,” Karan, who has hosted crime TV series "Gumrah" and appeared in the reality show "Roadies X2", said in a statement.